Hooray for new designs! And Hooray for Bamboo! We’re so pleased to announce that you can now pre-order our brand new season Bamboo designs! 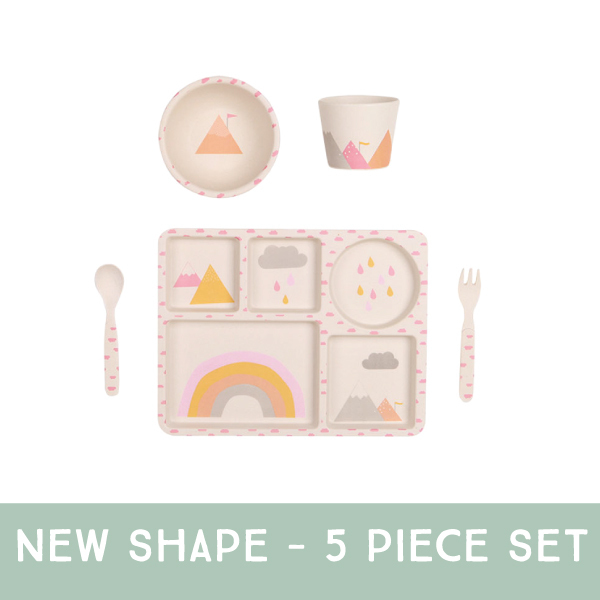 We’ve worked tirelessly on the new shapes for our 5pc sets and we couldn’t be more pleased the results. 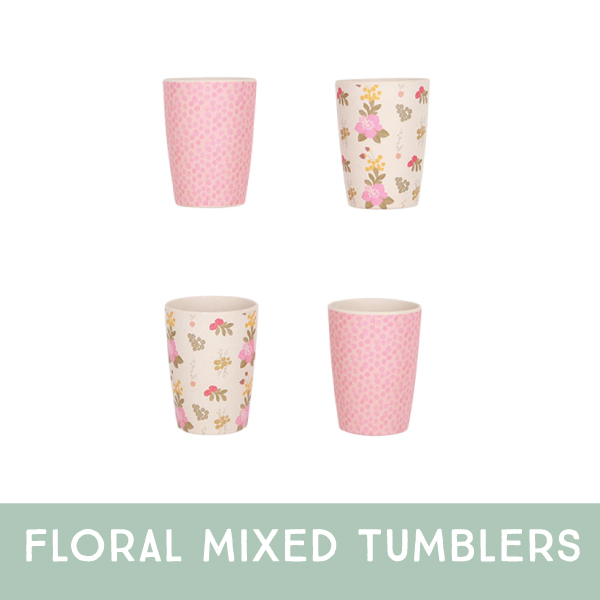 We know you are going to find them stronger and more usable including a new ‘mini’ tumbler which is much easier to hold. 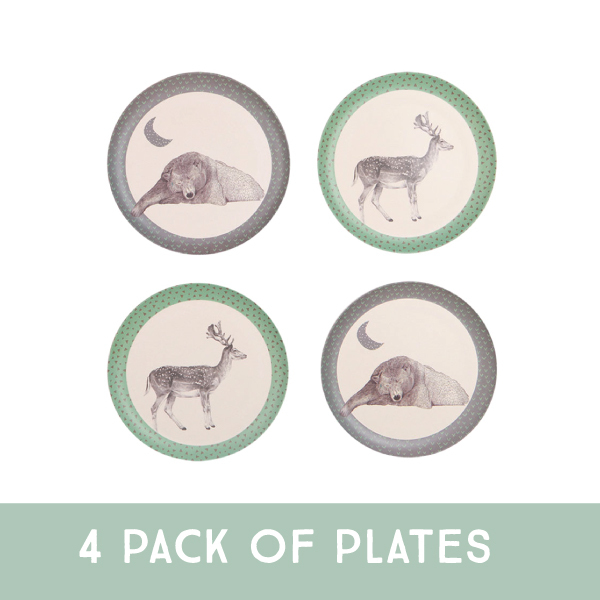 You’ll also notice that we now have our ‘oh so practical’ plates in a 4pk with matching 4pks of tumbler. Honestly your children will use these several times a day, and what better to hand them over such great designs. Snack and mealtimes never looked so good. 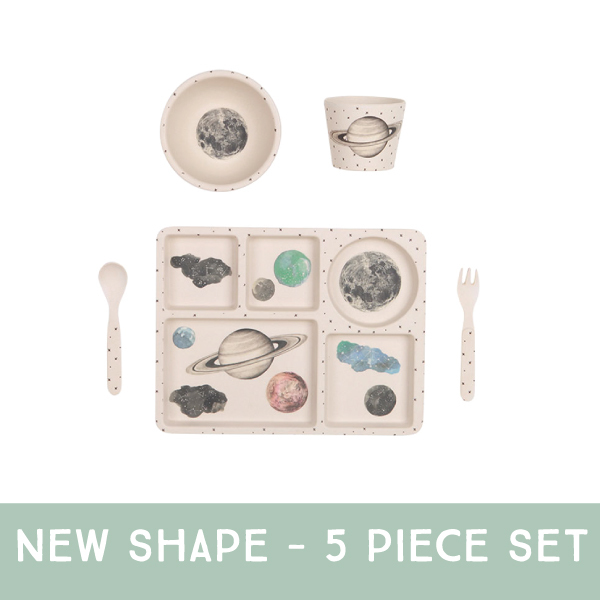 Our bamboo dinner sets are made from the bi-product of the bamboo industry, the left overs that no-one uses. These are then ground into a powder, mixed with a food-grade binding resin and then poured into a mould to set. Each of the bamboo pieces are then then treated similarly to porcelain where they is baked twice - first time to shape the product, then again a second time when the decal is applied, the product is then sealed and finished. We love that no mining happens for our products, but we are especially proud that no harvesting of bamboo happens either… we are merely making use of what otherwise would be wasted. To think a simple choice can have you respecting our planet and nurturing your child’s future, so we’re here to help you make it a good one. Do yourself, your child and your planet a favour and purchase planet friendly and sustainable products. It’s important to us, and hopefully you, to think of the full production cycle of the products we make and bamboo from manufacturing to disposal it the most gentle to our environment and our bodies of all the dinnerware productions. These are some of our favourite deisgns from the new range but make sure you check all of them out here.